Mental Health and Addiction Services are provided by counselors, transitional case management workers (TCMs), a family social worker, and addictions counselors. Services are available across the lifespan. In a preliminary consultation, we will assess if we are the best support and if we can facilitate other resources within and outside of SOAHAC. These consultations are available to anyone including other agencies or families with young children. When you apply for mental health services, we will first book you for a preliminary meeting to assess need, answer any questions, determine support needs, strengths and resources, safety plan, and work our timelines and transportation issues ahead of beginning counseling. We begin by listening to your concerns and developing a trusting relationship. We explain how we will work together with you and your other supports, and share the opportunity for you to access other SOAHAC services. We discuss confidentiality and answer any more questions you may have about the process of our working together. We offer brief (short term), and long term counseling with no constraints on number of sessions. Some of the things we do include crisis intervention, planning and prevention, using assessments and screening tools, individual and family counseling, transitional case management, art therapy, Teaching Circles (White Bison Teachings/Purpose of Life), strategies to help with self-care, anxiety and depression, addiction recovery, grief and loss, abuse trauma, intergenerational trauma, and other impacts of loss of culture and identity. We want clients to experience a sense of acceptance, kindness, and understanding, that will lead to trust and the ability to work on life challenges and their specific goals in counseling. Our model of helping is based on assisting individuals to achieve balance, harmony, and wellness using a wholistic model of care that is person-centred, trauma-informed, and culturally safe. Sensitivity to the barriers and challenges many people face when accessing services are provided from a competent skill and knowledge base from within the areas of First Nations, Métis and Inuit history and family life. There is an opportunity to learn culture-based strategies and Teachings as well as effective therapeutic western practices in counseling psychology, social work and art therapy. We hope all clients accessing our services will feel better in mood and spirit, more confident and hopeful having gained strength and knowledge, additional coping skills, and having made changes that affirm they are accomplishing their therapeutic goals. We accept all referrals, including self-referrals. We will do a preliminary intake by phone or in-person to help assess need, safety plan, assure we are the best resource (will facilitate other referrals if not). Some support is given at this time and other options for interim support are provided if there is a waiting period. Urgent and crisis are taken ASAP. The Transitional Case Manager (TCM) provides short term, interim case management support services in the area of mental health and addiction to First Nations, Metis and Inuit (FNMI) people in the city of London and surrounding area communities. The TCM will facilitate appropriate and culturally safe support for individuals who would like assistance and who are in transition between services. TCM services include short term and interim counseling and support, crisis intervention and prevention, care planning and treatment planning, service coordination and collaboration with community services, and referrals and advocacy (For FNMI and London Community Supports). The Family Social Worker is linked to our clinical health services in order to support families with identified needs related to social work or Traditional Healing. This service is focused on assisting families to improve wellness, achieve stability, and increase resilience. It may include care planning; assistance with housing, employment, or income needs; brief counseling; crisis intervention and prevention; referrals; forms assistance; and advocacy. We offer individual and group supports related to addiction, in order to promote healthy lifestyle options. Addictions services include prevention, treatment, and aftercare with a Traditional-knowledge based approach for those affected by addiction. One to one counseling addresses substance abuse issues and assists individuals to develop a plan of care, and identify group and family support. 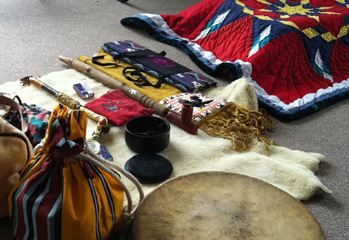 In-community supports like Wellness Support Circles, Traditional Healing and educational support groups are also available resources we may refer you to.